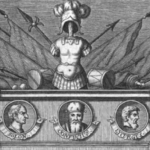 Civil religion – the belief that public religion could be subsumed within the administration of the state – has long been recognised by intellectual historians of the early modern period as a feature of republican discourse, most often conceived of as an inheritance from ancient Rome. This recognition, however, has allowed civil religion to remain underexplored as an intellectual tradition on its own terms. A language and concept seeking to reconcile church and state, it draws on numerous traditions, including the legacy of the Reformation and notions of Royal Supremacy, Freethought, Gallicanism, and more. Liberated from the confines of being a subsidiary to republicanism, a rich and complex discourse emerges, through which efforts were made to develop a persuasive vision for a religion conducive to a tolerant and harmonious citizen body. In order to achieve a comprehensive understanding of civil religion and its significance, an open dialogue between religious and intellectual historians is of fundamental importance, a dialogue which has previously been limited by the intense focus of scholars examining civil religion in its political dimension to the exclusion of religion. Moreover, a broad chronological overview of civil religion’s development from Antiquity to Enlightenment is required, beyond its origins in Republican Rome and episodic manifestations in the early modern period, further necessitating the interaction of scholars usually divided by chronological boundaries. The aim of this conference is to facilitate these urgently needed discussions, bringing together religious and intellectual historians, classicists and early modernists, historians of scholarship and historians of political thought. The resultant rehabilitation of civil religion from its status as a handmaid of republicanism will not only promote methodological innovation through its interdisciplinary emphasis, but will interrogate dominant traditions in these disciplines regarding the relationship between church and state, and that between religion and the Enlightenment. Can a clear definition of civil religion be determined? How can a viable framework for its discussion be developed? Was the religion of the Roman Republic a civil religion? How was this precedent used by later thinkers? Was it employed beyond the confines of republicanism? To what extent were accounts of civil religion influenced by the historical context out of which they emerged? How far did the notion of civil religion evolve as a response to the Reformation and its legacy? In what ways did civil religion inform Enlightenment thinking? Does civil religion need to be situated alongside irreligion, freethought, and priestcraft, or can it also be positioned as a discourse within the church? What were the aims of civil religion? Were they simply negative, seeking the limitation of church power, or can they be interpreted as positive, as part of an effort to develop a civil, virtuous society? What impact, if any, did civil religion have beyond political and religious discourse? How was it represented in literature, art, biographical writing, and scholarship? Proposals are invited for papers of twenty minutes, with abstracts of no more than 300 words, to be submitted by Friday, 22 March 2019, to katherine.east@newcastle.ac.uk.